HR-S Suitable for optical lenses including projection lenses. Excellent transparency and heat resistance. Camera lenses, optical lenses, light guide plate. 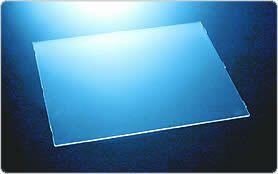 HR-LC Equivalent physical properties to HR-L. No UVA(UltraViolet Absorbent) added for optical lenses. GH-S Suitable for light guide plate for LCD. Superior in optical characteristics, fluidity and transcription. Light guide plate. GH-SN Equivalent physical properties to GH-S and suitable for PC monitors. UVA(UltraVioletAbsorbent) added to improve weatherability.